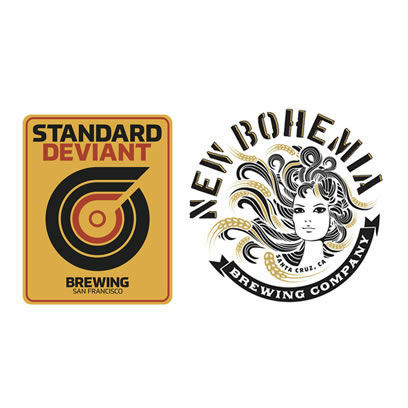 Friday, November 16th - 6:30 p.m. to 11:30 p.m.
Standard Deviant Brewing – Standard Deviant Brewing, located on 14th Street in San Francisco’s Mission District, strives to make excellent beer that is true to style and remains the coldest tasting beer in SF! New Bohemia Brewing Co. – New Bohemia Brewing (NUBO) specializes in European-style lagers and ales, using traditional European brewing methods to craft exceptionally balanced beers. While most small breweries today focus on English and American styles, NUBO specializes in traditional and innovative craft lagers and Bavarian hefeweizens. Located in the neighborhood of Pleasure Point on 41 st Ave, NUBO has a Taproom open every day of the week that serves our flagship beers and specialty beers paired with locally sourced pub food. We also deliver throughout the Bay Area. General Admission – $27 – General admission ticket holders receive a complimentary craft brew of their choice and enjoy access to the Conservatory from 6:30 pm to 10:30 pm as well as the Beer Garden on the Palm Terrace from 6:30p.m. to 11:30 p.m.
Master Brewer – $55 – Slip away with an exclusive tasting flight, featuring our acclaimed host breweries. Experience a guided tasting by expert craft beer makers who will explore the varieties and flavors of four different brew samples. Purchase a Conservatory membership at checkout and save $10 on the annual membership fee! Current members, click “Enter Promo Code” on the ticket selection window and enter your member number to receive 10% off your ticket purchase.